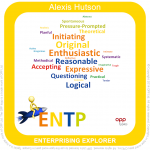 I’ve used the Myers Briggs Type Indicator (MBTI) with doctors for many years and have always found it to be an incredibly useful way for people to gain deeper insight into their preferences and behaviours. For the younger doctors it’s a great way to access data into how they have specialised their core personality attributes and for older doctors it’s a powerful tool to support continual professional development, especially around leadership. 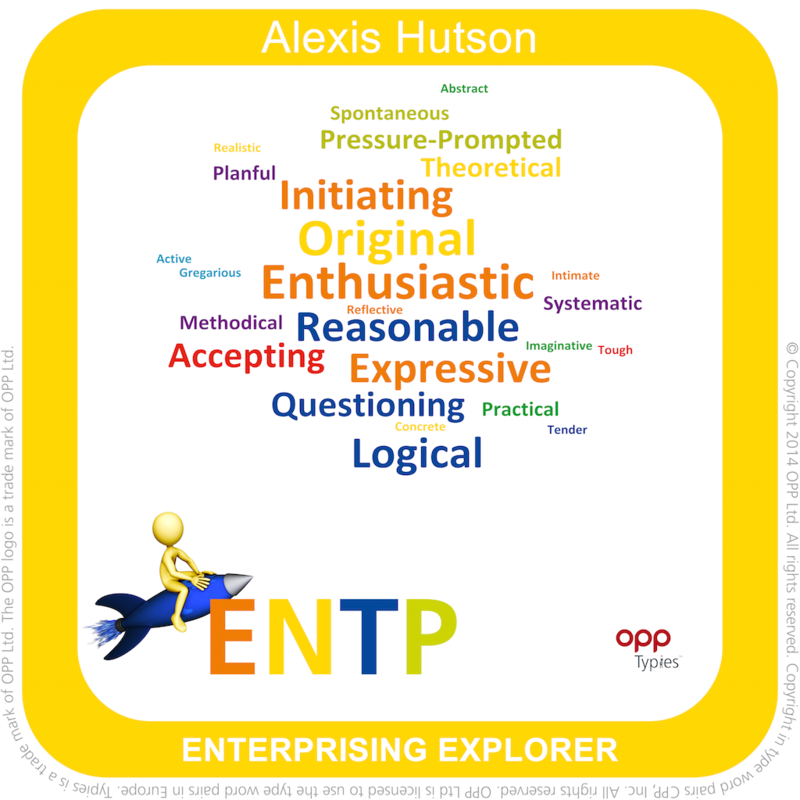 So as part of my CPD for 2015 I decided to train in MBTI ‘step II’. 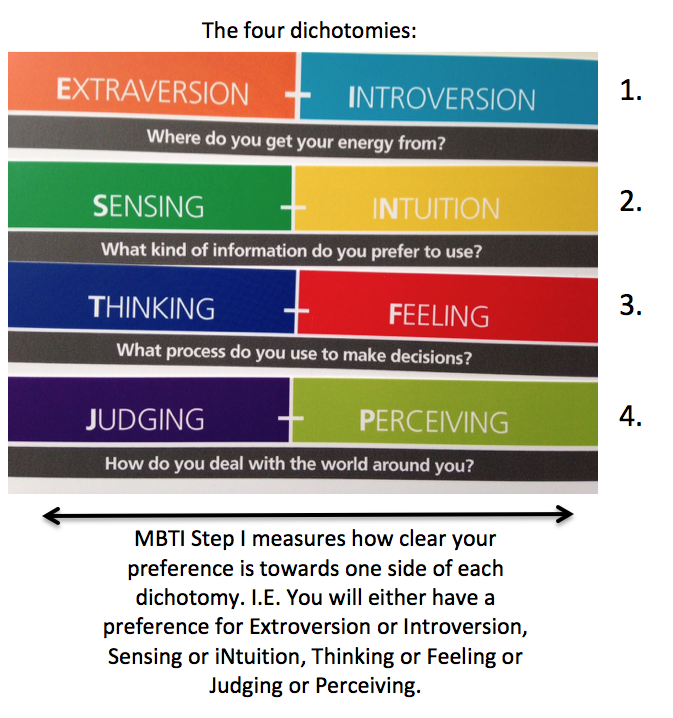 If you’ve ever done MBTI you will know that the process involves you learning about Carl Jung’s four preferences areas (called dichotomies) that then group people into one of two alternatives for each dichotomy. See below. Working through all four dichotomies results in a combination of four letters that can describe what your basic personality tools are and how you prefer to use them. You will end up with a four letter ‘Type’, e.g. ENTP or ISFJ. It triggers great conversations about how people behave (especially at work) and gives useful ideas about how you can get the best out of yourself. But, this ‘off the peg’ result might not always fit perfectly. This is where MBTI step II helps. Taking your result from step I, step II drills down deeper into each dichotomy preference by describing five key components (facets) that make each area. This means the results of a MBTI step II report are much more tailored to fit you. As part of my step II training last week I had to undertake the test myself. It was fascinating to be on the other side of the experience for once and to learn new things about myself. For example, I’ve a clear preference for Extroversion but never quite understood why I don’t particularly relish large social gatherings. It turns out that my preference in the facet that deals with this (Gregarious – Intimate) is not weighted towards Gregarious. It helps me understand more deeply how and why I make decisions about large gatherings of people and how I handle myself during them. 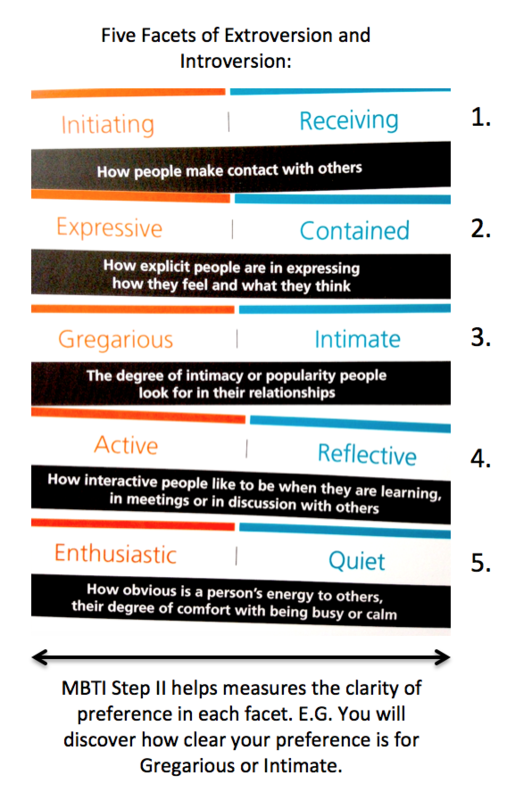 Below illustrates the Facets that make up Extroversion and Introversion. In total MBTI Step II measures twenty facets (five for each dichotomy). I can see this being incredibly useful for the doctors I work with. They always appreciate learning about themselves and how this can positively impact their work, but to have a more advanced level of self awareness will be of great value.